Gordon began his work in theater at Blacktop Comedy in Rocklin, California, where he performed and studied under local improv greats Paul Burke and Betsaida Lebron. After five years of playing zany characters on Sacramento's improv comedy circuit, Gordon moved into his first dramatic role as Bill Fordham in The Alternative Arts Collective's production of August: Osage County. He then followed up with several other roles, including: NFL legend Paul Hornung in Lombardi, and uber-villain Jabba the Trump in Midsummer Nightmare 6. He recently helped to open Theatre in the Heights with their production of Neil Simon's Fools, where he played Slovitch the Butcher. In addition to his acting credits, he is co-founder of 3XP Podcast. 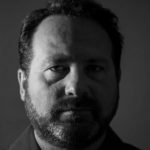 Gordon was appointed to executive director for The Alternative Arts Collective, and is currently Executive Director and Co-founder of Errant Phoenix Productions.